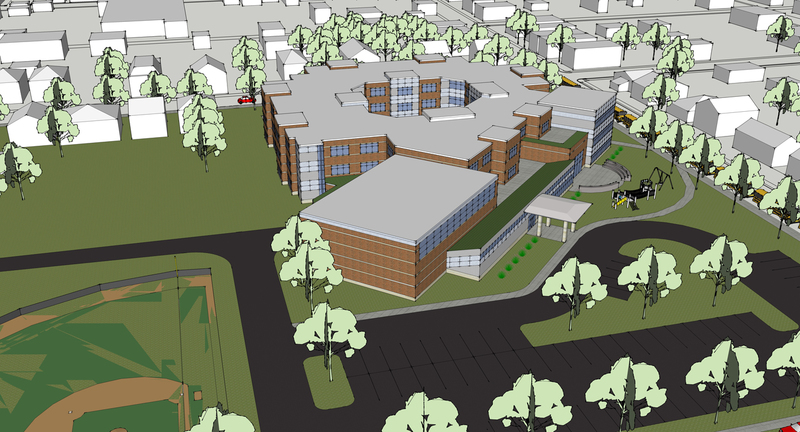 The new Manheim Central Elementary School will be located on the site of the old middle school at the corner of North Hazel and East Gramby streets in Manheim. 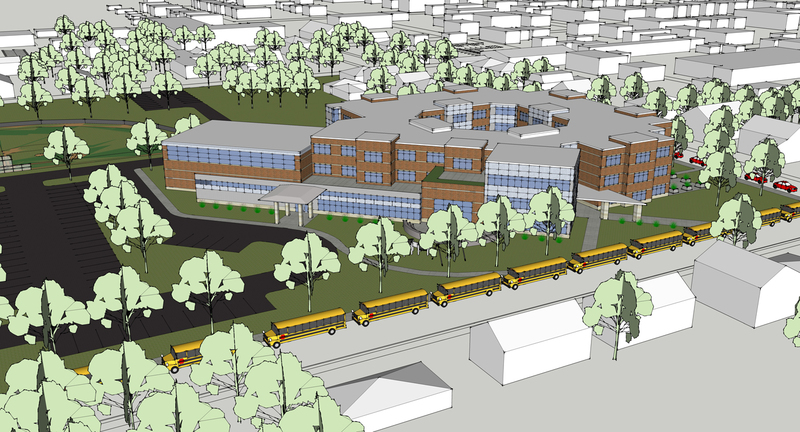 The School is being designed to accommodate the increase in student enrollment and the redistribution of students throughout the District. The District plans to close two of its four existing elementary schools, consolidating its elementary student population at Doe Run Elementary School and the new school. 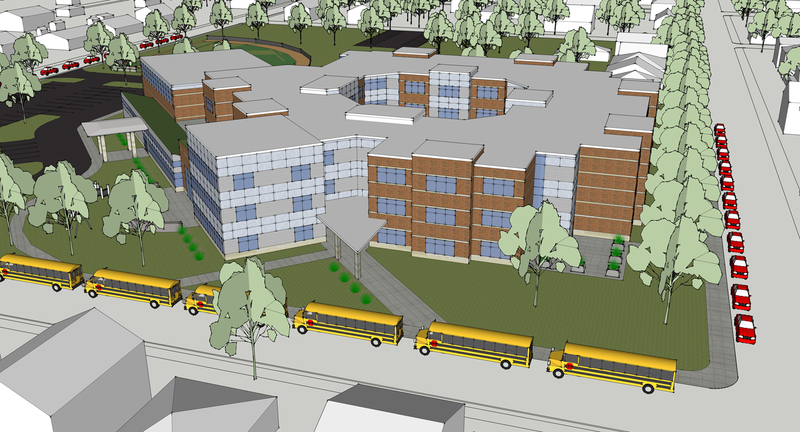 The new elementary school will have 42 graded and support classrooms, 2 art classrooms, a music classroom and 2 practice rooms. Core learning and support areas include: full-sized gymnasium; cafeteria, kitchen and stage; media center; interior courtyard and green roof spaces; building administration; guidance and health suite areas; faculty areas; and building services. 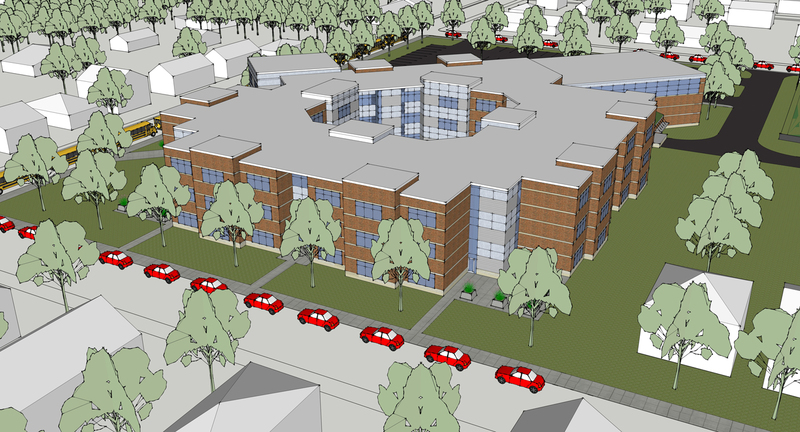 The school will be a modern, high-performance building; all areas meet the highest educational standards. The new school is designed to be three stories tall, with each floor containing 14 typical classrooms for each grade of 300 students, including special education and support spaces. This will provide maximum flexibility of the space for current or future use. The core facilities of the building will be divided amongst the three floors and are distributed on the northern half of the building at an angle to allow for maximum use of the natural light. The building is designed around an interior courtyard to provide every classroom with daylight. The courtyard space can also be used as a secure space for students and teachers to use as a teaching tool or eating/play area. The building is being designed to meet LEED Gold standards and will be highly sustainable, incorporating materials and systems that require minimal energy use.